24MEDIA Group announces the beginning of its collaboration with Mina Birakou, in the context of developing and further investing in the lifestyle content. As of April 1st, Mina Birakou undertakes the role Lifestyle Editorial Director, in order to develop the already established brands Ladylike.gr and Oneman.gr, as well as to develop lifestyle content and products throughout the group. Mina Birakou is one of the most experienced executives in the media market, with more than 20 years of experience. She has taken over executive positions at Imako, has been a successful radio producer, a TV consultant, while the last 13 years she hold the position of the Editorial Director of InStyle magazine. 24MEDIA as part of its strategy for further growth and investment in the media industry, announces the acquisition of the majority shareholding of Farosnet, the company that operates HuffPost Greece in partnership with Verizon Media. HuffPost Greece, with more than 2 million unique visitors, is a news site with 100% primary content and totally different perspective, targeting readers who want to form an integrated opinion about current affairs. Editor in Chief of Huffpost Greece is Antonis Fourlis. The owner and chairman of 24MEDIA, Mr. Dimitris Maris, stated: "We are very proud and happy that five years after the arrival of HuffPost in Greece with 24MEDIA being the official media partner since then, we invest further in this business project, acquiring the majority stake in Farosnet. HuffPost is one of the most important and most powerful digital media brands worldwide, a case study that has changed many of the rules of the digital publishing industry. Our decision to move towards this investment is totally in line with the Group's growth strategy over the coming years." Sport24.gr travelled to the city of Charlotte, North Carolina and covered closely the All-Star Weekend 2019, with the support of COSMOTE TV that broadcasts exclusively the NBA games. The correspondent of the leading sport’s site in Greece, Harris Stavrou was on the side of Giannis Antetokounmpo who was for the first time captain, playing for the third time in the All-Star Game and for the fifth in the All-Star Weekend. Readers of SPORT24 lived intensively the three-day event (15-17/02) in Charlotte and felt the “magic” of NBA through articles, reviews, interviews and exclusive reportage of Harris Stavrou. Informing the sports community was not only done through the site of Sport24.gr, but also from the social media accounts of SPORT24 (facebook , Instagram , viber ). There hundreds of thousands followers, experienced the world of NBA and All Star Weekend through the exclusive photos and videos of Harris Stavrou. COSMOTE TV was the grand sponsor of the trip of Sport24.gr and of NBA All-Star Weekend 2019 column. In a night full of good temper, awards, gifts and of course, the pie cutting, 24MEDIA officially celebrated New Year at the Grand Hyatt Athens hotel, on Monday 18th of February. The Parthenon Hall was decorated with the lights of the largest digital publisher and 24MEDIA employees exchanged wishes before continuing its dynamic journey the upcoming year. Mr. Dimitris Maris, Owner and President of 24MEDIA and Mr. Nikolas Pefanis, CEO, attended the event as well as other members of the management team, close associates and the staff of the group. Mr. Dimitris Maris welcomed with a polite greeting and stated that "2019 will be a creative year full of new challenges and opportunities. We continue stronger than ever, always faithful to our own growth and development plan." Mr. Nikolas Pefanis, CEO of 24MEDIA, made a brief statement of the past activities of 2018, stating that although last year was quite demanding it was also productive and welcomed the new year with optimism. During the event, the award ceremony took place by awarding the favorite journalistic article and radio show of NEWS 24/7, SPORT24, CONTRA, ONEMAN, LADYLIKE, HUFFPOST GREECE, Sport24 Radio 103.3fm and News 24/7 Radio 88.6fm. Following, 30 lucky winners were selected through prize draw and won unique gifts. The event was supported by Beverage World, Vibes Professional, while it could not have been so beautiful without the exceptional hospitality of the Grand Hyatt Athens hotel. 24MEDIA in collaboration with “Evangelismos” General Hospital, organised for the 3rd consecutive year, voluntary blood donation, with the purpose of collecting as many blood units as possible in order to aid the difficult incidents the hospital faces daily. The collection of blood units took place at 24MEDIA offices by the specialized team of “Evangelismos” General Hospital and after the necessary measures for the blood donation process were secured. 24MEDIA employees responsiveness was extremely high, showing their social awareness. Additionally, “ORAMA ELPIDAS” Association informed 24MEDIA employees about bone marrow donation, while those who were interested in becoming donors, gave DNA samples in order to get registered in the global volunteer bank. Panos Velachoutakos, HR Manager of 24MEDIA stated: “The voluntary blood donation and the information about bone marrow donation follow the company's CSR actions. The staff’s high responsiveness and their social awareness make us particularly happy and motivates to continue with even more similar actions". For the 5th consecutive year, SPORT24 was the No. 1 sports site on reader's choice, with an average of 4.939.919* unique visitors. Within 2018, SPORT24 was ranked on the top sports site in the country with 350.112.319* total visits and 1.061.976.679* total pageviews. Rich news reports, live broadcasts, interviews, reviews, and articles kept the audience's interest unabated. For the new year, SPORT24 promises even more sports information opportunities, remaining devoted to its philosophy of exclusive sports journalism content. 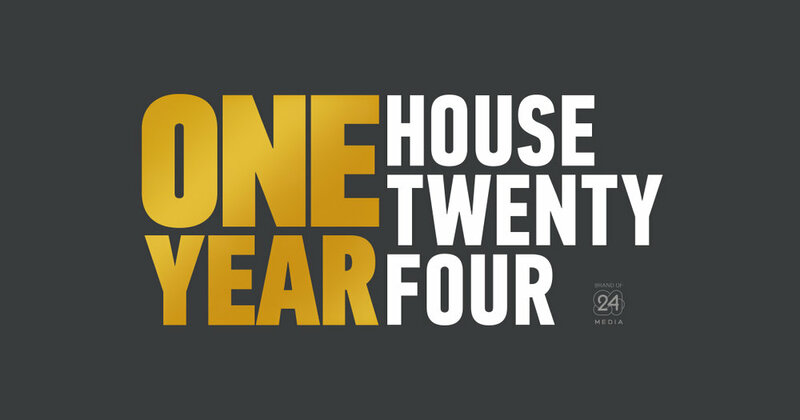 House Twenty Four, 24MEDIA’s largest phygital project, celebrates one year of operation. 24MEDIA’s House opened its door in the advertising market last December with with the aim of producing unique and especially creative -branded and non- content. In 2018, House Twenty Four welcomed 65 brands, created 47 videos and organised 16 events. Food, cosmetics, electrical appliances, furniture, clothes and accessories as well as services that make our daily lives easier, starred in the familiar to all, experiential stories of our journalists and in the branded content activities of Custom. House Twenty Four enables brands to find their own place in a real home, just as they claim a place in our readers' homes. 24MEDIA, in the context of social awareness, supports the valuable work of Equal Society and organised a Christmas bazaar in its offices on Wednesday, December 19th. At the bazaar, handmade products from the theatrical homeless group «Walkabout» were made available. With festive and happy mood, 24MEDIA employees participated in the Christmas bazaar and supported the work of the Equal Society. Revenues from the charity bazaar will be made available for the needs of the Human Meal and the «Walkabout» Theatrical Group. The Equal Society homeless home theater group «Walkabout” began its journey about a year ago and is the only theater group in Greece, made up of our fellow citizens, whose circumstances have led to homelessness and social marginalization. This initiative was launched at Equal Society's «Human Meals» section as members of the theatrical group take advantage of the equipment. Wanting to enhance the body structure and the theatrical group itself, in collaboration with volunteers create handmade products such as candles, mugs, charms, etc. On Sunday 16 December, the 24MEDIA House was filled with colors, flavors and children's voices. On the morning of Sunday, the beloved ArGOODaki shared love with the children, and they contributed to the social work of Goody's. While in the afternoon of the same day, WIND VISION, as part of its collaboration with Disney, dressed the Disney Junior House with a special show for her young friends. During the events children had the opportunity to participate in 3 different workshops: in the kitchen the children had the opportunity to create, cook and decorate Christmas cookies, in the beauty room an expert designed colorful figures on faces of face-faced children painting, while an ornament workshop was set up in the living room to help children decorate the Christmas tree. Children and their parents had a good time, enjoying Goody's meals in the morning, and sweet dishes inspired by the Disney Junior world, in the afternoon. The children left 24MEDIA House full of colorful memories and gifts. 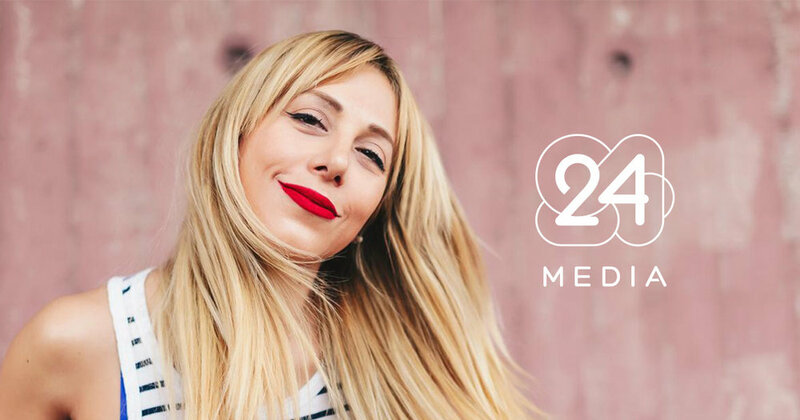 24MEDIA announces the cooperation with the site alfavita.gr, to further enhance the Group’s network with a particularly strong educational brand. For more than 20 years, alfavita.gr has been the largest educational network in Greece, which researches and presents to the public all developments in the field of education. As part of the collaboration, 24MEDIA's digital and radio network will exploit and highlight the content and quality of alfavita.gr, through surveys, reports on education and through its wider social and political context. Director of Content & Products of 24MEDIA, Manos Michalos stated: “It is a unique pleasure to welcome the brand of alfavita.gr in the network and family of 24MEDIA, a product with validity and journalistic value, which deals with a key area for the present and future of the country: Εducation. Through selected and strategic partnerships, 24MEDIA continues to invest and grow, offering to its audience, quality content and accurate information”. Director of Alfavita.gr, Panagiotis Katsikas stated: “It is a strong challenge for us to cooperate with 24MEDIA, the country's most recognizable and reputable media group. We share the same values for objective and reliable information with actual facts and primary reports. Our goal is to offer full coverage on educational issues”. Ilias Anastasiadis is taking over the duties of Editor in Chief at the sports website Contra.gr, as of 1st of November. He undertakes the journalistic supervision of Contra.gr, aiming to develop a high quality sports website with native content, in the standards of the International digital sports journalism. He started his journalistic career at MAX magazine, following he worked at Cosmo.gr before going to Oneman.gr, the top male website, where he hold the position of Managing Editor for the past 3 years. Nonetheless, Ilias is the author of the book "Monday".